Read the tutorial on using the Input Splitter object in Quartz Composer. Read the tutorial on adding FX to a layer in VDMX. The example project and qcFX created for this tutorial can be downloaded here. Step 1: Add an 'Input Splitter' to your QC patch and set its to type 'Image'. The video stream from VDMX will be passed in from here. Connect this to parts of the patch that process the image as needed. 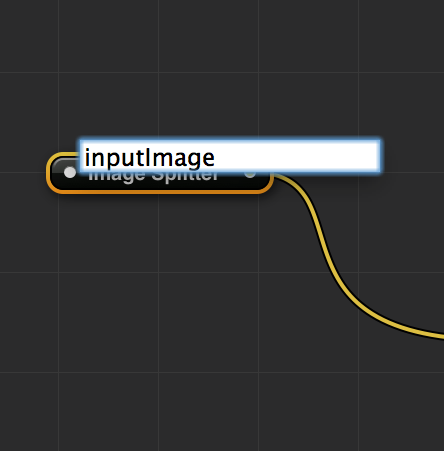 Add and publish Input Splitters for any variables to control from within VDMX. Setting the type of an input splitter object to Image. Publishing the input using the contextual menu. 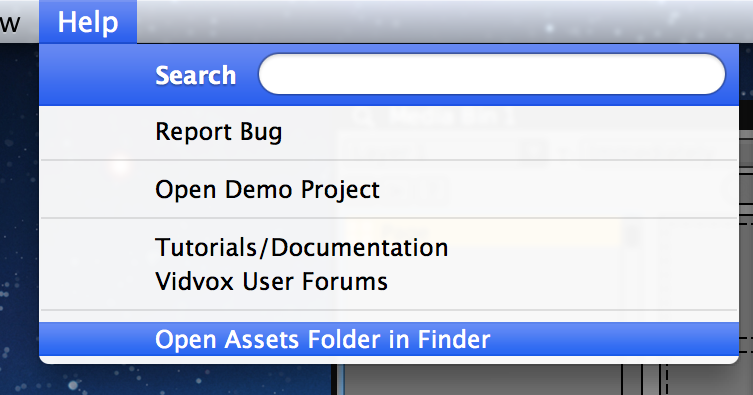 Step 3: Choose 'Open Assets Folder in Finder' from 'Help' menu and move the composition in the qcFX folder. The FX now shows up in the list of available FX. Adding the FX to a layer.